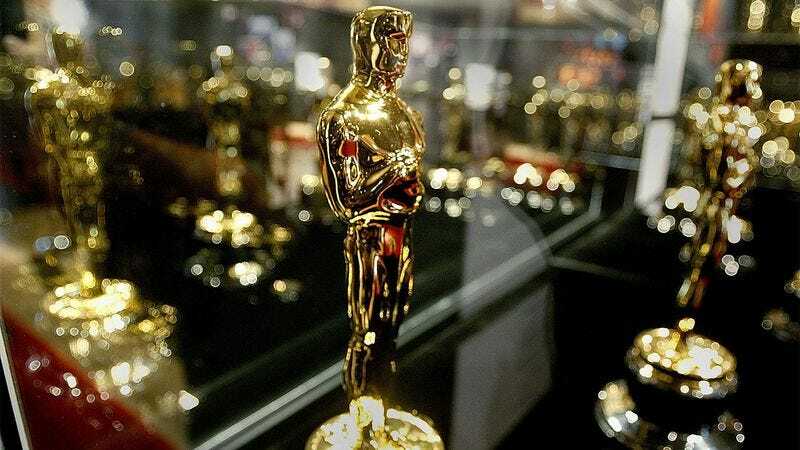 The Academy of Motion Picture Arts and Sciences has faced an onslaught of harsh criticism for the lack of diversity among this year’s Oscar nominees, with high-profile stars like Spike Lee and Will and Jada Pinkett Smith saying they will boycott the ceremony. However, it looks like the critics spoke too soon, because the Academy just revealed that every single Oscar trophy is actually a statuette of a black man who fell into a vat of molten gold! This is a huge step forward! Wow. It looks like Hollywood is in much better shape than we thought! If you’re like us, then you’re looking forward to the Oscars now more than ever. Now that we know that the Oscar trophy was always meant to depict a person of color who was running too fast with his eyes closed at a gold foundry and lost his balance above a bubbling cauldron of gold, we think this year’s ceremony will be the most special—and diverse—in the history of the Academy Awards. We can’t wait!